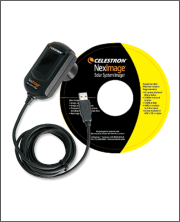 If you are contemplating astrophotography then the Celestron NexImage solar system imager is worthy of a serious look. NexImage is a complete CCD solar system imager capable of producing high quality planetary images with greater light sensitivity and color fidelity than comparable CMOS imagers. 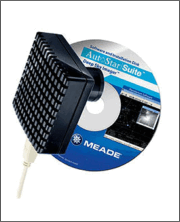 Combined with the NexImage software package. The Celestron NexImage Solar System Imager can bring out amazing detail and reveal a final image that will rival those taken with astronomical CCD cameras costing thousands of dollars more. 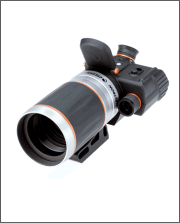 The 1.25" adapter barrel makes NexImage compatible with the majority of telescopes and the 1.25” adapter is threaded for standard eyepiece filters that can be removed and replaced with an optional focal reducer lens. You can view and capture live video on your pc screen, and software automatically filters out video frames that are most affected by poor atmospheric "seeing" leaving only the sharpest, clearest frames to be stacked and aligned into one high quality image. 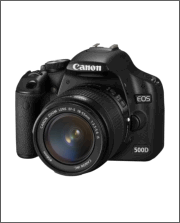 Camera control software enables you to manually change the gain, contrast, exposure time, frame rate and color saturation using your Computer. When it comes to astrophotography, sharp focus is vital for top quality results, and although there are many techniques and devices for focusing your telescope, the human eye still continues to be one of the best detectors in subtle changes in detail. 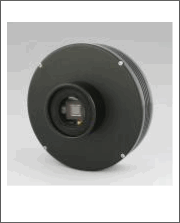 One advantage that video imaging has over imaging with more sophisticated CCD cameras is the speed in which it can display its image. 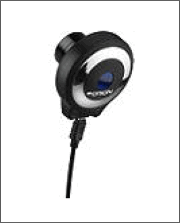 Focusing NexImage is more similar to focusing a eyepiece than a CCD camera, and unlike long exposure cameras you won’t have to wait many seconds to see the effect of a focus change. The instructions and tutorial supplied are easy to follow, and the sample video will have you taking quality images right away.